Hi temp caster wheels are designed to continuously operate at temperatures higher than standard wheels. Standard caster wheels are usually rated to function at temperatures up to 160-180°F. Hi temp caster wheels are commonly found in the food processing, autoclave, powder coating and baking industries, and can operate without failure at temperatures above 500°F in some models. 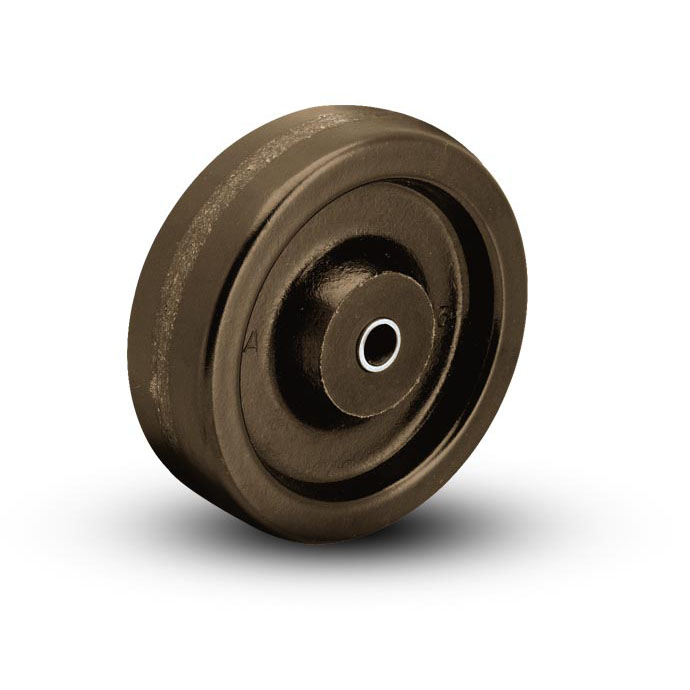 Hi temp caster wheels are made using materials such as heat-treated phenolic resin, glass-filled nylon, steel or a special thermoplastic rubber. Algood Caster Innovations and Colson Caster are both known for their hi temp caster wheels and offer them in a wide selection of sizes. We're still adding Hi Temp Wheels products to the site, but we can help you!